The Joint Administration and matriculation board have remained a major exams body conducting Universities matriculation examinations (UTME) in Nigeria. So For students to remain on the safe side, there are certain things which every student could do to emerge successfully in the exams. 95% Of Students don’t study inline with the syllabus, JAMB syllables have been a veritable tool in the hand of students seeking admission into the higher institution. We strongly recommend all candidates to have a take a look at the syllabus for every subject they registered. Pay attention to the subjects you’re anticipated to master and let it guide your studies. This way, you’ll spend no time reading things which are irrelevant to the examination. Best know JAMB Take All Question From The Contents of the Syllabus. Many students have recorded successes in their UME exams because of the effective study of the syllable. The syllables have been a helpful tool, but many students have disputed the facts that the brochure is another veritable tool for which students can use to scale through the hurdles of the jamb. Students preparing for UME have neglected the study of the brochure. Some register to study a course blindly which may not be offered by their choice university. Help you in making a perfect preference for the courses and School you are intellectually suited. But the truth remains that academic excellent solely depend on the vehement study of your texts books and other recommended books in the syllables. The ultimate thing to do while preparing for UME exams is to study, Read A Good Number Of Text Book recommended By JAMB. It is advisable for a candidate to create time for effective studies. It will also be advantageous for a candidate to enroll in extra-moral classes OR Best Outsource For a Good Private Tutor in your area. 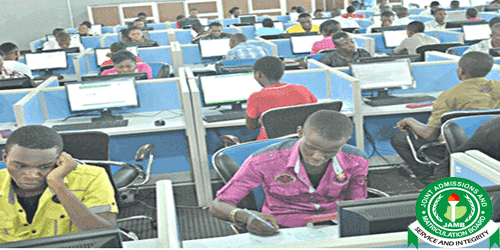 On-Time Registration for JAMB Exam is too vital to achieving success from JAMB Exam. but funny enough.. most students love to wait for late entry. Time waits for no man- is a popular adage. Tick says the clock tick tick is another adage. The fact that Jamb offers enough time for its registration is not a ground for candidates to register late for the exams. Procrastinating to register on time has caused a whole lot of failure in JAMB UME examinations. – Candidates are given unconducive/unequipped centers. – Some are slated for rural areas for the exams and guess what! Candidates who apply speed in the exam do emerge successfully. JAMB UME examination is not an exam for babies, it’s also a test of speed, for matured minds who are ready to face the other world of the university. The examiners give a very limited time of about 40 minutes. However, this time waits for no, man as it ticks every second. You can’t pause the time to do one thing or the order, like having a convenient or answering to the attendance. The time goes very fast and stops automatically for everyone. Whether you came to the exam venue late. Did you know that intelligent students still fail Jamb? Tears dropped from his eyes, I could remember vividly he was a boy, tall, and he spoke intelligently. All his tears were in vain; all his pleas wasted as the invigilator was so tenacious in his decision. Further findings revealed that he was the best in his secondary school who made history by recording 9A’s in the West African Senior School Certificate Examination (WASSCE ), but on that fateful day, she was late to her UME exams. That was how she failed JAMB. It is so obvious that many candidates are seen doing some print out on their exams a day, and this warrants their lateness to exams. It is best for candidates to do all necessary things before the day of their exams. If your exams center is in a long distance or in another state, try to be there at least a day before and get to know your center. Yes, we are in the computer age where computer and other computer related devices are easily accessed, yet computer illiteracy still rocks among young school leavers in Nigeria. Since 2014, Jamb had progressed from the rostrum of PPT to the rostrum of CBT which made way for the utilization of computers for the exam. It is appalling that many candidates still cannot operate the computer system during the exam and thereby failure comes in. It is advisable for candidates to undergo Computer Base Training before the day of their exam. Yes, this has possed a problem to many candidates. The exams day is like an injury period which a simple mistake can hurt for life. You must be all ears while writing your exams. Are you writing with your ears? Of course not, so candidates have to pay adequate attention to attendance while writing the exams. One major thing that poses a threat to JAMB in Nigeria is their poor and unequipped exams environment. These have posed a psychological effect on many students. The progression from PBT (Paper Basel Test) to CBT (Computer Based Test) has not change Jamb’s poor Examination Environment. Many students are misinformed about Jamb exams. They are given fake information which has no relationship to the exams above. It is a known fact that are many myths and conceptions surrounding the exam and the exams body. All this should be taken with a pinch of salt as many of them are rumors and not facts. BREAKING: Discover How A 23 yrs Boy Started Importation Business With Just N10,450. And Now Making Over 350k Monthly.. Get The Full Course Here! Financial Empowerment: Get financially stable and get multiplied income today. Join The Nigeria Exporter, Become An Exporter Click Here!! 0 responses on "12 Reasons Why Students Fail JAMB Exam"